Since you’re a first-time guest at BKB, we want to hook you up with a discounted Intro to Climbing (ITC) class. Book online and you’ll get Intro to Climbing, which includes a Day Pass and Return Day Pass, for less than a standard drop-in Day Pass with rental gear! That’s up to 35% off the standard class price of $49. 1. Choose your location, and sign up for Intro to Climbing. You’ll get Intro to Climbing, a Day Pass + Return Day Pass, and Rental Gear for less than the standard class cost. It’s no secret that climbing is inherently challenging. That’s one of the reasons why we love it. However, it can be even more difficult—and needlessly frustrating—without basic instruction first. Our 60-minute ITC class provides friendly, introductory instruction highly recommended for everyone new to climbing and BKB. All first time visitors are required to complete a Personal Responsibility Code before entering our facilities. Doing this before you arrive will help to ensure a smooth check-in process. Choose your location below to get started. Does everyone need to take ITC? Guests climbing with children, experienced climbers or those visiting with experienced climbers may opt out of our Intro to Climbing [ITC] class. Those who don’t take ITC are still required to take a 20-minute facility orientation. If you’re an experienced climber, you might be more interested in learning about our Learn the Ropes or Level Up V2-V3 classes. What’s the deal with ITC? We also purposely keep ITC class sizes small to amplify the quality of your learning experience and community connection. With a 1:6 maximum instructor-to-participant ratio, the our 60-minute class allows you to meet other new climbers while learning the foundational elements and techniques of bouldering and roped climbing. ITC classes are available frequently throughout the week, so be sure to book your class above. What should I eat before visiting? 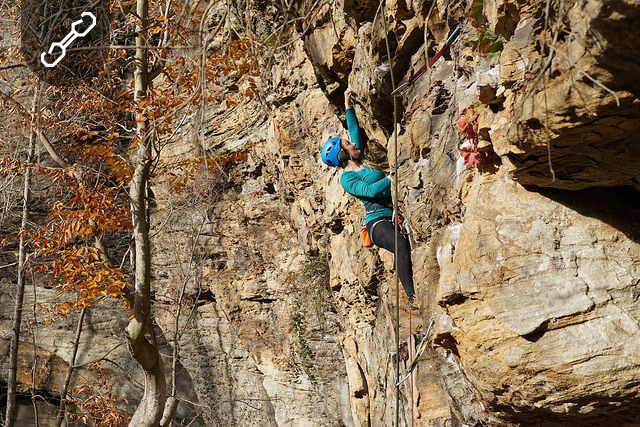 Climbing will awaken muscles you didn’t know you had. They may even cramp up! To help mitigate this, make sure to bring a water bottle (water fountains are available at each facility). We also recommend hydrating with drinks full of healthy vitamins and electrolytes to keep those small muscles in your fingers, hands and toes (heck, the whole body!) primed for the climb. We kindly ask that you safely store any gear brought to BKB (i.e. off the floors, benches and bouldering pads). Cubbies and lockers* are located around each facility for your convenience. *Locks are not provided. Please provide your own or purchase a lock at the front desk. What should I know about BKB etiquette? At BKB we praise the person who marches to the beat of their own drum. That’s why we want you to remember the acronym, D.R.U.M, when at any of our facilities. DRUM = Defend. Respect. Up. Mindful. We dare to be different and we’re proud of it. Please help us in spreading the #BKBLove. If you happen to be disrespectful to any staff and/or community members, we might ask you to leave. Respectfully, of course. Be aware of your surroundings, always. Climbing is an inherently dangerous sport. We aim to foster a sense of belonging for all who walk through our doors, regardless of age, gender, creed and/or orientation, while inspiring you to engage your imagination, passion, and physical potential. Climbing is a full body workout and, like any new fitness routine, you should consult your doctor before your first climb. Also, if you’re new to BKB, please let us know! We are happy to answer any questions and make your first visit as welcoming as possible. After all, we were all new climbers at one time. Whether you are climbing by yourself, with friends, or taking a new class, we can help. Our professional instructors and staff are here to guide you to your fullest potential as we strive to “become superhuman together”. Make yourself a priority by always listening to your body. Keep that water bottle handy and your mind open. See you on the walls! 4. Arrive 15 minutes early to your class. We recommend wearing comfortable, flexible, and breathable clothing and socks. Each facility has awesome clothing available for purchase. However, feel free to don clothing options that you don’t mind getting the beloved sparkle sparkle* of climbing on. *Sparkle Sparkle = Chalk: From gymnasts to olympic weightlifters to climbers and beyond, we all use chalk. Some like meaty chunks of that sweet magnesium carbonate. Others prefer the finely ground version, akin to Lebron James’ pregame ritual. Climbing shoes must be worn while climbing on the walls and are available for purchase or rent at the front desk. Please do not wear your climbing shoes around the facility or into the bathrooms. Doing so could get what you step in onto our walls. That’s nasty. If you plan on taking a fitness class or using our fitness amenities, be sure to wear your sneakers.